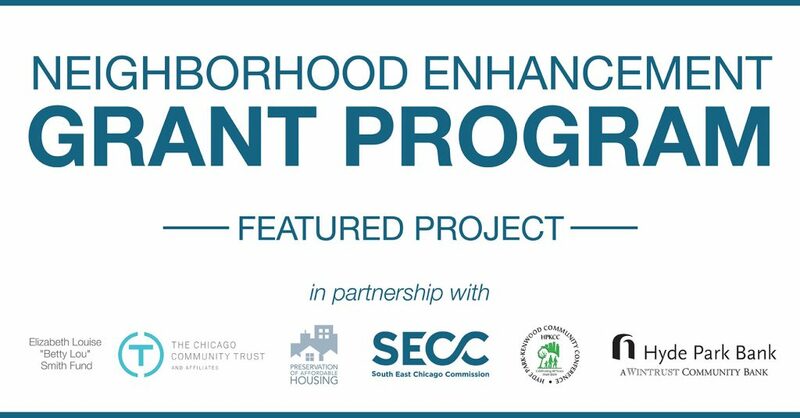 The South East Chicago Commission (SECC) successfully raised funds to award 2019 Neighborhood Enhancement Grants for local projects in Hyde Park, Kenwood, Oakland, Woodlawn and Washington Park. Each high impact project enhances the quality of life in our neighborhoods and gives community partners an opportunity to collaborate for the improvement of the places and spaces we live, work and play. 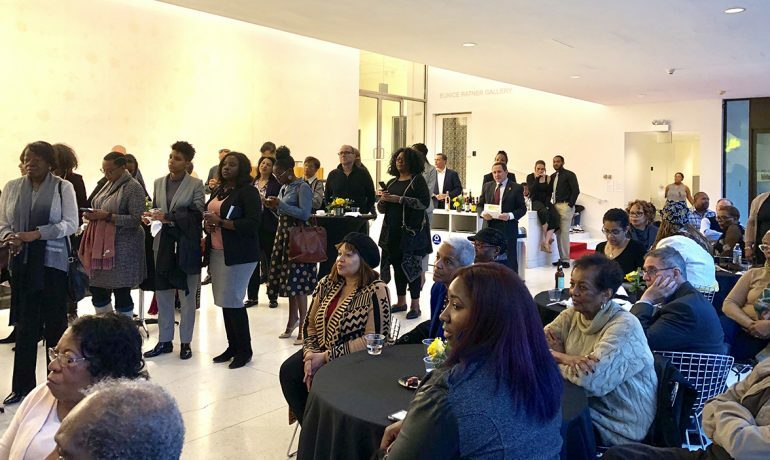 On March 14, 2019, the SECC hosted its annual A Night at the Theatre reception at The Smart Museum with tickets to Court Theatre’s showing of For Colored Girls. 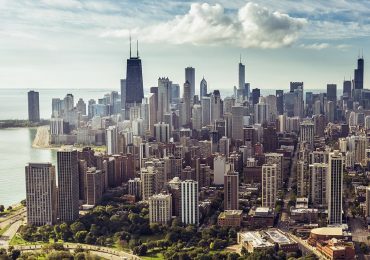 With a room-filled with nearly 100 supporters and stakeholders, the SECC reaffirmed its mission to (1) facilitate and support economic development within the Southeast lakefront communities, (2) foster collaboration and coordination among businesses, organizations and institutions and (3) promote job creation, community investment and economic vitality. See the Photos (Facebook Gallery). SECC received generous support from the Elizabeth Louise Smith Fund, who provided a matching grant of $15,000, creating a fundraising goal of $30,000. 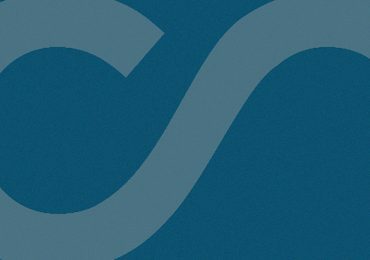 SECC is also grateful for contributions and commitments from Hyde Park Kenwood Community Conference (HPKCC), Preservation of Affordable Housing (POAH) and Hyde Park Bank. THANK YOU to everyone that came out to celebrate our annual Theater fundraiser! Fantastic turn out! We cannot express our gratitude enough! This year marks the 20th anniversary of the Grant, marking more than $550,000 invested in local communities and thousands of local residents involved and affected by the South East Chicago Commission’s dedication to beautification, sustainability, and neighborhood improvements. For more information, visit our Neighborhood Enhancement Grant page.